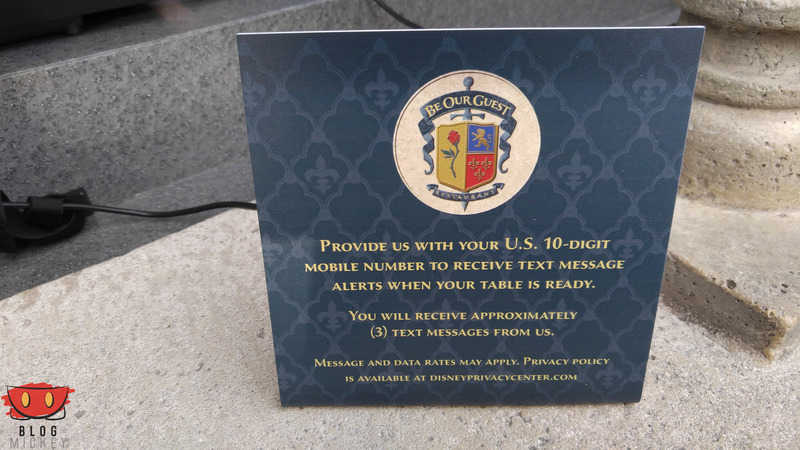 Be Our Guest is now joining the likes of Jock Lindsey’s Hangar Bar and Skipper Canteen and will text you when your table is ready. 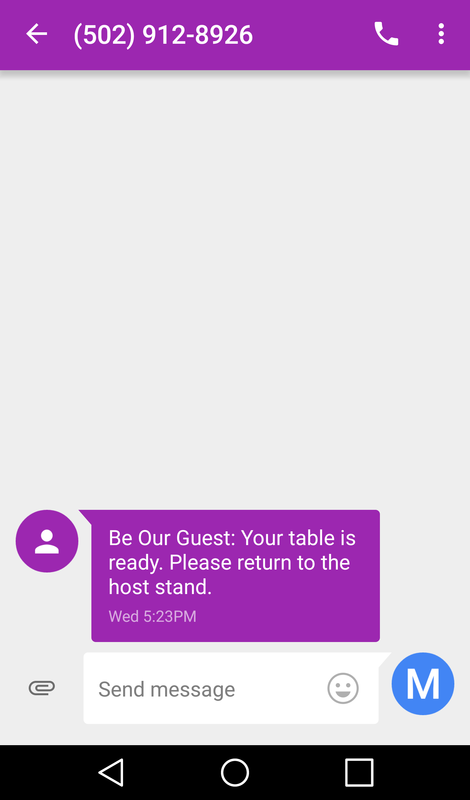 Everything else about the check-in process remains the same, but they’re currently giving guests the option of using a pager or receiving alerts via text message. It’s possible that they’ll go to a text-only system once they’ve ironed out the kinks. The text message system was rolled out Tuesday. Interesting, as I’ve been lucky enough to get a booking for our trip in April. But, the sign says US mobile numbers – do you know what the plan would be for non-US visitors? Or will we remain with pagers?